Power Restored to over 97,000 Customers Following Worst Wind Storm to Hit City Power Grid Since 2011. ***CORRECTION*** Omitted phrase”… in nearly a decade…” added to end of first ‘graph. 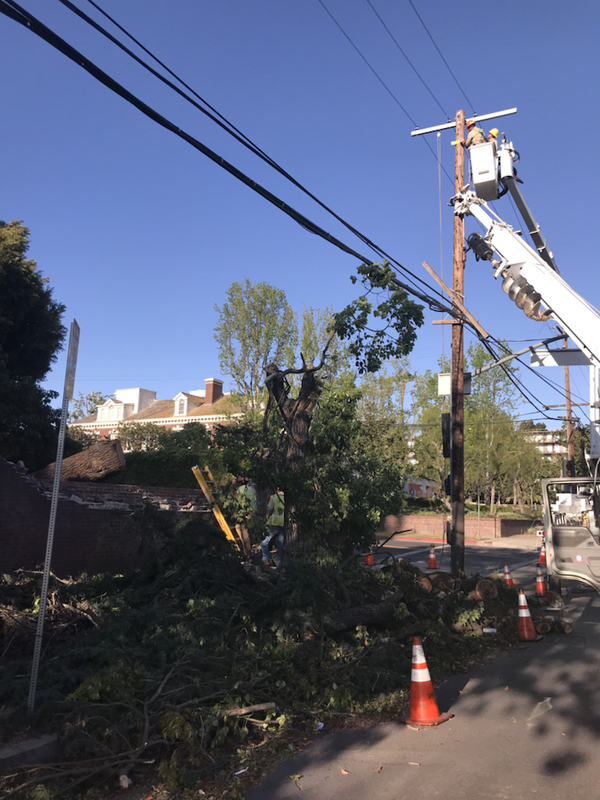 LOS ANGELES (April 11, 2019) – LADWP crews made substantial progress restoring power to more customers overnight, restoring service to thousands more customers affected by wind and debris caused outages. At 10:30 AM today, approximately 1,000 customers remain without power and crews have restored power to over 97,000 customers since the strongest windstorm to affect the City of Los Angeles’ power grid in nearly a decade, began late Tuesday afternoon. At this time, the most affected areas are East Hollywood and Koreatown with a few remaining isolated outages in neighborhoods mostly south of the Hollywood Hills. Beginning Tuesday and continuing through early last night, high winds caused dozens of outages across the city and restoration work– in many cases – included not only a complex repair, but debris clean-up and removal before repairs could even begin. LADWP’s dispatch team had scheduled crews around the clock to ensure that there was no disruption in the restoration progress. Crews will continue to work until every single customer experiencing an outage has power restored. As work continues and the remaining customers are restored, LADWP will continue to provide regular updates via Twitter @LADWP. Customers experiencing an outage should report it online at www.ladwp.com/outages from a desktop computer or mobile device or call 1-800-DIAL-DWP (1-800-342-5397). If you were affected by a power outage, thank you for your patience. We know that service interruptions and extended outages cause major disruption to our customers lives and work hard to get power restored as quickly as possible.